"It is not the employer who pays wages. He only handles the money. It is the product that pays the wages and it is the management that arranges the production so that the product may pay the wages." A product line refers to a variety of the same product that a business produces for customers of a particular market. They usually differ in size, colour, price or quality so that there is a greater chance that it meets the needs of different customers. 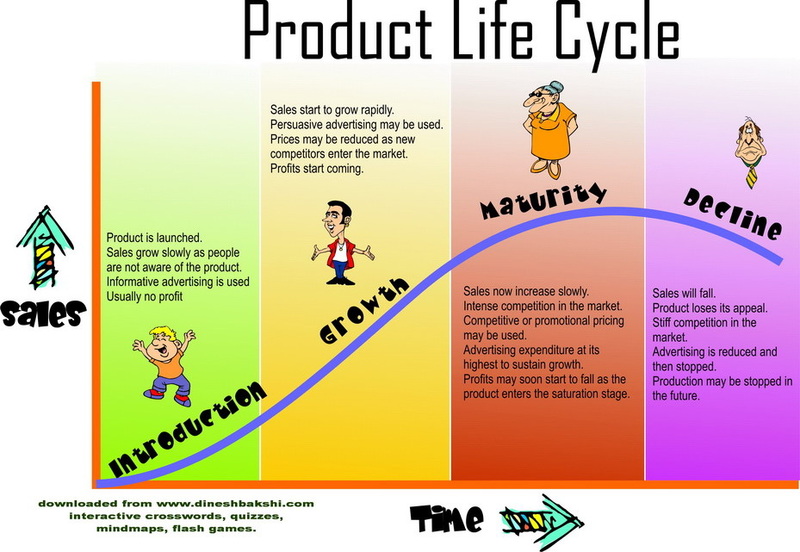 The "Product Life Cycle" shows the different stages that a product is likely to go through from its initial design and launch to its eventual decline and withdrawal from the market. Each stage of a Product's Life Cycle is likely to have a different marketing mix. How can a business extend the life cycle of a product? Take a look at how the product life cycle of Lucozade has evolved. When I grew up watching John Barnes (when football was good) Lucozade, as it is today was a sports drink. Like Gatorade, but better. The marketing department at Lucozade have done an excellent job in reinventing the product over the years. Analyse the relationship between the product life cycle and the marketing mix, and determine appropriate extension strategies. This is an analysis of elements of a company's product mix to determine the optimum allocation of its resources. The two most common measures used in a portfolio analysis are market growth rate and relative market share. 2. Draw a diagram for the product life cycle. Clearly label all parts of the diagram.